INFORMATION ... Good morning! I'm interestig in make a booking for 17th since 18th August in a double room. I want to know if you have availability and the price of the room. Thank you very much for your help. It is a beautiful house in the touristic zone. 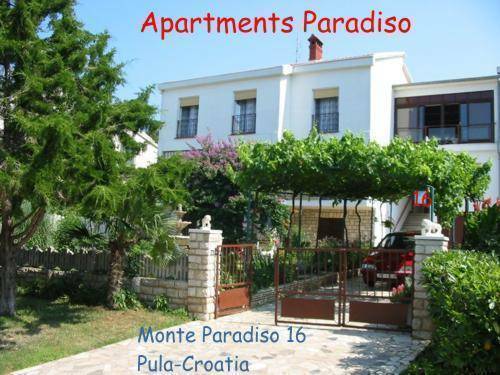 Our pula-holiday apartments are fully furnished. The nearest beach is 300 meters distance, restaurants and shops are 60 meters. As for night life, (the casino, disco and open air disco) are at 800 meters. There is a bus stop in a distance of 30 meters. Bank and postal office are in the surrounding area. The house has a big private parking lot, 7 car spaces. 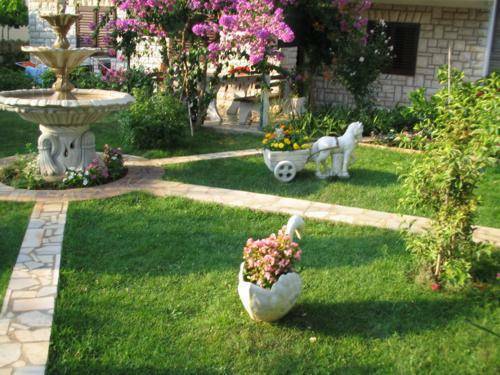 We have a beautiful garden with many flowers and 3 tables with benches (each for 8 persons), and you may use the open air barbecue. The house is surrounded with green and is in a quiet zone. 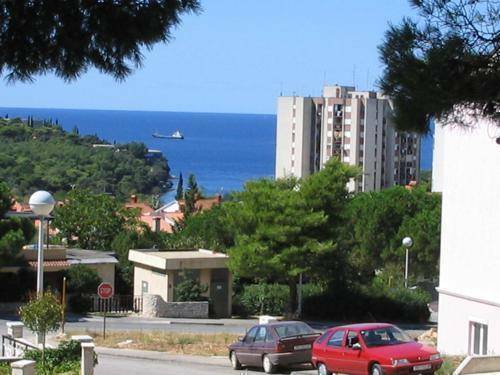 The owner of pula-holiday apartments speaks English, German and Italian language. Change bedclothes weekly. Smoking is allowed. Tourist tax is not included in the price and has to be paid additionally. The Studio has one room with double bed, kitchen and bathroom. Studio is on ground-floor. The Studio has a separate entrance. 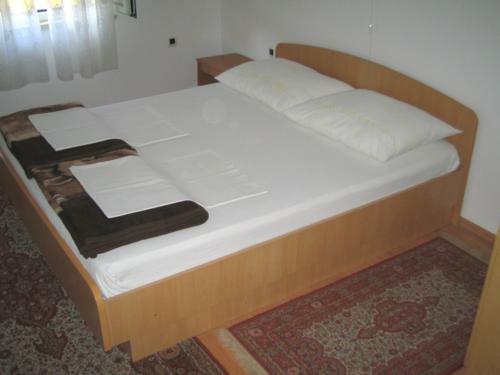 The apartment (triple) has one room with one double bed and one single bed, kitchen, bathroom with toilette. The apartment is on ground-floor. The apartment has a separate entrance. 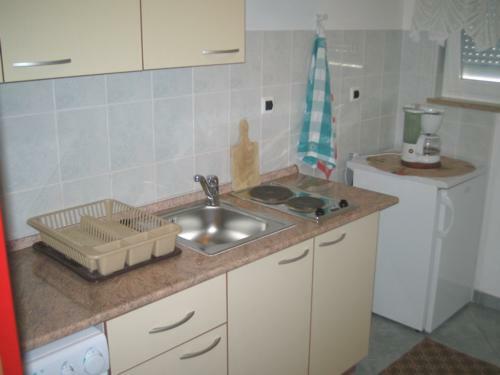 The apartment(double) has one room with double bed, kitchen and bathroom with toilette. The apartment is on the first floor. The apartment has a separate entrance. When you arrive in Croatia follow the signs to Pula. At the entry to Pula don't go through the centre, follow the signs for Medulin or Punta Verudela. Drive straight (that is the ringroad around the city) and after THREE traffic lights, Marina Veruda will be on your left side. 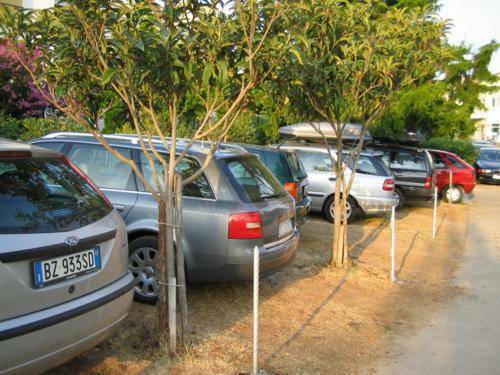 Then drive further to the "Restaurant Borghese" on your right, then you turn right. Just drive straight ahead, and turn left at the third street (at the enterance of the road, you will see green house with a caffe bar and a pharmacy). Your apartment is the third house on the right side of the street. station), Apartment Paradiso is 30-50 metres up this station.